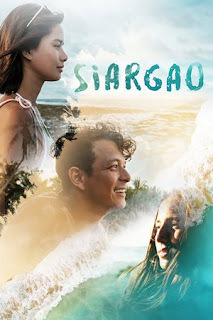 Siargao is a 2017 Romance Drama, Starring Jericho Rosales, Erich Gonzales and Jasmin Curtis Smith. It is Directed by Paul Soriano and Produced under Ten17 Productions. It is an official entry to the 43rd Metro Manila Film Festival. The Story takes place in the scenic surf island of Siargao, off the island of Surigao Del Norte in Caraga Region of Northeastern Mindanao. The film is about a musician named Diego (Jericho Rosales) who returns to his hometown because of a scandalous public fallout he had with one of his band mates. He meets vlogger, Laura (Erich Gonzales) who seeks solace in the island due to a public break-up she just had. Diego is also in the process to seek closure with a former lover Abi (Jasmin Curtis Smith). Throughout the film the three learned that the greatest adventure is learning to take a risk of commitment. The movie screams star power as actors like Jericho Rosales and Erich Gonzales always knows how to deliver on-screen. The surprise however came from Jasmine Curtis Smith who’s performance was as mysterious and beautiful as the island they shot the movie with. The movie also explores the theme of 2nd chances, closure and that it is never selfish to love yourself and moreover as you commit mistakes you should also forgive yourself. Surfing is also one of the theme; Life is about trying and picking up yourself when you fall. Siargao was the 3rd most successful movie in the MMFF. 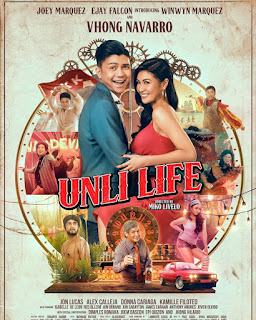 The film won multiple awards, having 12 nominations and 7 wins including; Best Director ( Paul Soriano), Best Actress in a supporting role (Jasmin Curtis Smith), Best Cinematography, Best Sound, Best Theme Song and Best Editing. Other cast members of the film also included: Roxanne Barcelo, Will Dasovich and Enchong Dee. If your looking for self-healing, self love, closure or just finding yourself and inner peace in a beautiful island. Then this movie is for you.